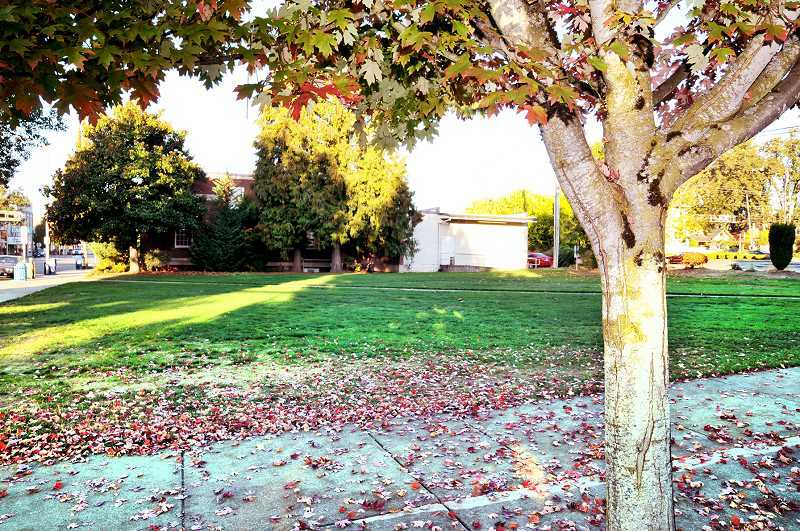 The city of Newberg is seeking new interested developers for the vacant Butler Property across the street from city hall, as the last group of developers negotiating to develop the lot dropped out. Community Development Coordinator Doug Rux said the city will repost a request for expression of interest in the property. He said the City Council had initially identified a developer considering the project, but they backed out and so the city will have to re-advertise. "After they did an initial evaluation, they chose they did not want to proceed forward," Rux said of the potential developers. Rux and Public Works Director Jay Harris met with potential developers in the fall and discussed a "vision for the property and for subsequent potential development," according to City Manager Joe Hannan's manager notes at the time. "Staff answered many questions about (an) overall vision for Newberg and agreed to prepare an exclusive negotiating agreement for council approval." "I believe so, yes," Rux said on whether there was still optimism on finding a new developer to take over the property. The Butler Property is known for being a former car dealership that was turned into a brown field property after being purchased by the city. The city eventually received a federal grant to clean up the property, which is now a grassy field. It is home to the city's farmer market and other events. This past summer, the city sought Requests for Expressions of Interest for the 10,300 square foot property in the heart of the downtown area. The EOI documents from prospective applicants or buyers were due in mid-August and the city was scheduled to conduct pre-submittal meetings toward the end of June. "The offering is intended to be flexible," the REOI states. "The city is not seeking a detailed proposal at this time, although it will not reject any specific proposals that developers or others may seek to put forward for the property. Rather, the city primarily seeks expressions of interest from developers, business owners, or others who may have ideas for the property. The city intends to select a proposal and enter into exclusive negotiations." Ideally, the ideas would draw more customers into the downtown area and create housing on the upper floors and ground floor retail shops. The city is open to a broad range of ideas, including outright purchase, leasing the land and leasing with an option to purchase. The document states that the city welcomes a broad set of intentions on the part of the developer as long as they can prove a track record in other similar projects. Restaurants, brewpubs that provide activities in the evening are desirable, as is new residential development. The city stated it was more willing to sell the First Street property to a developer whose "whose proposal requires no financial commitment on the part of the city compared to other proposals, all things being equal," according to the REOI. The REOI listed several existing and future programs and assistance that the city is willing to consider. Items such as vertical housing tax abatement, which began in 2003 under the Oregon Economic and Community Development Department (OECDD), known as Business Oregon. The program encourages mixed-use commercial and residential developments and offers a partial property tax exemption.